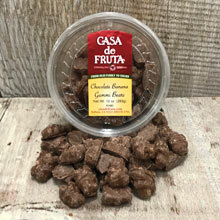 Banana flavored gummi bears covered in rich chocolate...what's not to love?! Packaged in a 10 oz. tub.